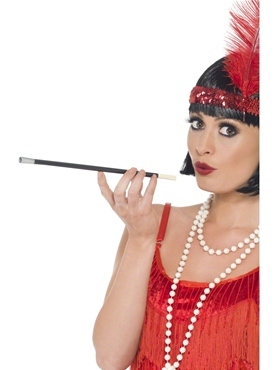 You'll be fit for a date with Mr Gatsby himself in our 1920's inspired Flapper Costume! Our Ladies Black Flapper Costume comes our knee length fringed dress and the white fur stole for that extra touch of glam. Completing the look is our black headband with attached feather and jewel detailing. Medium 12 - 14 36" - 38" 28" - 30"